Interested in trying a professional skin tightening treatment? 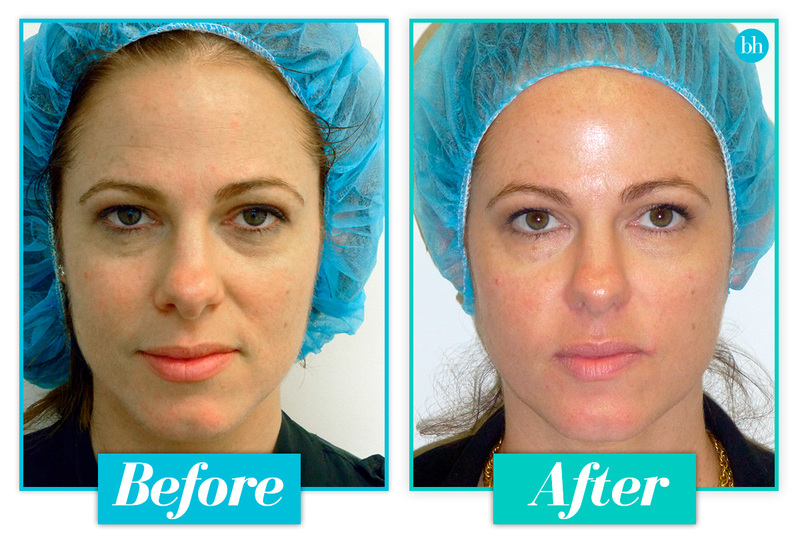 Thermage is one such cosmetic procedure that promises to smooth and tighten your skin, for a more youthful appearance. Keep scrolling for everything you need to know about Thermage, including bh’s Katie’s behind the scenes Thermage video review and bh’s Skye’s review and impressive before-and-after photos. Thermage is a non-invasive, radiofrequency cosmetic procedure that helps to smooth, tighten and contour skin for a more youthful appearance. Tailored to strengthen existing collagen and stimulate new collagen growth, it uses a combination of heat energy and cooling to effectively heat the deeper layers of skin, stimulating existing collagen and elastin and promoting new collagen growth. The treatment aims to deliver natural-looking results on all skin types, both on the face (including eyes) and body (stomach and thighs). Visible results can be seen in three to six months after a single procedure (and continue to improve in the months following), but follow-up treatments are recommended once every 18 months to two years, for maintenance. Potential side effects may include redness, swelling, blisters, bumps and rarely, surface irregularities (but these are usually mild). A Thermage treatment can cost anywhere between $1500 and $3000, depending on the size of the area being treated, as well as the individual clinic performing the treatment. After reading about the amazing skin-tightening benefits of a Thermage treatment I was excited to test it out for myself and take you on a behind the scenes look at what happens during the procedure from beginning to end in our Thermage video review. 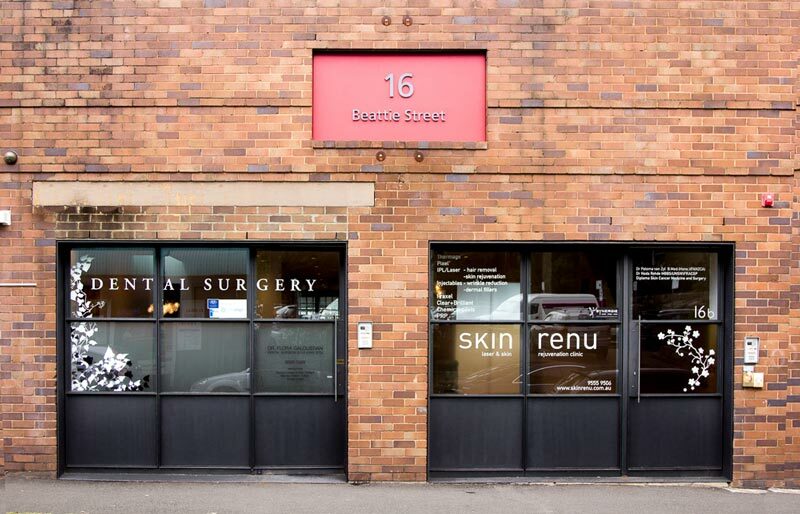 The procedure itself is non-invasive with the added benefit of having absolutely no downtime, which really put my mind at ease before I arrived at the Skin Renu Clinic in Balmain for the Thermage treatment. To begin with, my face was cleansed and a temporary grid “tattoo” was applied to my skin to guide the therapist during the procedure. To prepare for my treatment I made sure I was well hydrated and took two paracetamol before I arrived to help with any pain. The team at Skin Renu had advised that for some the procedure is completely pain-free but for others mild pain may be felt. They offer pain-relief medication on site, should you feel you need it. The procedure itself took a bit over an hour, with the therapist focusing on one half of my face at a time, and using the wand to go over the face grid multiple times to contour and tighten my face, neck and around my eyes. Each clinic varies in the number of pulses they use per treatment but Skin Renu have found that administering 1200 pulses gives clients the best results. The pulse itself feels cool to the touch as the heating happens in the deeper layers of your skin. The Thermage treatment didn’t hurt at all on the first half of my face, I would even describe it as relaxing. I could immediately feel the difference in my skin when we paused halfway to inspect the results. It felt like half my face had lost weight, the skin was taught and had a youthful, smooth glow. During the second half of my treatment I did feel mild pain. It was bearable but I think the pain could have been avoided if I had taken the pain-relief medication at the clinic rather than in the half hour before I arrived. Once the therapist finished the treatment she advised me to avoid hot showers; exfoliating with Retin-A, AHA Vitamin A serums for the first two days; and not to take anti-inflammatory drugs as this could impact the results. The next day, my skin was the best I’d ever seen it. It was tight, smooth and fine lines had all but disappeared. 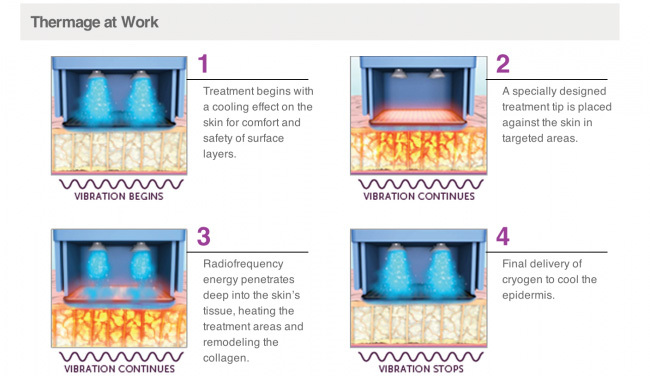 Thermage is designed to stimulate collagen renewal over the course of the next 3 to 6 months to help maintain and continue the skin-tightening benefits of the treatment. In the months following the treatment I’ve noticed my skin has remained tight and smooth. I am very pleased with the results, and while more dramatic results would be seen on someone a little older with more wrinkles and sagging skin, I think the subtle changes I have seen would prompt me to invest in these treatments every couple of years as I age. Thermage is a treatment that promises to help smooth and tighten your skin for a more youthful, yet still natural-looking appearance – so naturally, I was excited to try it! I arrived at Clear Complexions in Balmain for my treatment and after a 30-minute consultation and ‘before photo’ shoot with a trained professional, the nurse walked me through the process from start to finish. She explained what it would feel like, how long it would take and the post-care involved. After some facial analysis, which showed clearly the amount of sun damage on my face and reminded me of how important it is to protect your skin from the sun’s harsh UV rays, we moved into the treatment room. To prep my skin for the procedure, my makeup was removed and an alcohol solution was wiped over my face and neck. A temporary ‘tattoo’ was then applied, which transferred a grid-like pattern over my entire face and neck. This grid acted as a guide for the nurse, to ensure all areas of my face and neck were treated. 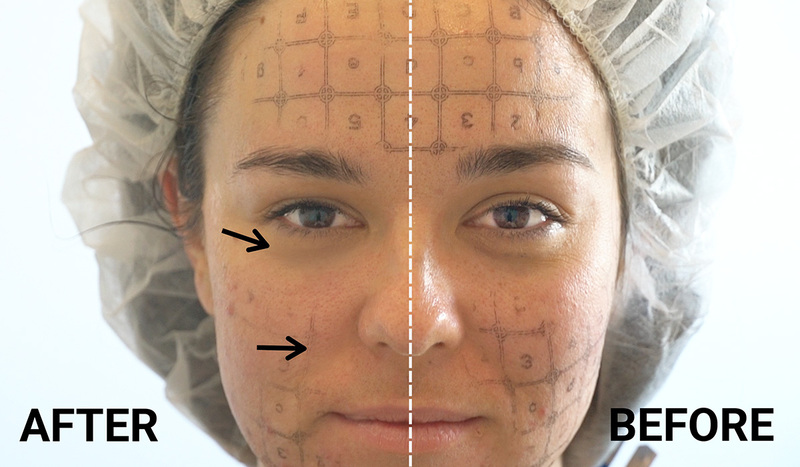 Each grid is the same size as the head of the Thermage treatment tool that the nurse uses, and each grid was targeted up to four times throughout the treatment for best results. The thermal procedure offers ‘comfort Pulse technology’, which is a gentle vibrating sensation that is added for your comfort. Each time the device touches your skin, you feel a brief heat sensation, followed by a cooling sensation. Throughout the treatment, the nurse asked for my feedback in relation to my comfort levels, which was great to help balance my comfort with maximum results. All in all, the treatment was relatively painless with minimal discomfort and I felt comfortable throughout the process. Immediately after the treatment my skin was cleansed and it felt plump and smooth. I didn’t see a huge difference in terms of the tightness of my skin right away, but three months post-treatment, I’ve noticed improved tightness particularly around my jawline and my eyes. I was really happy with the treatment, and knowing and seeing the benefits, I would happily have it again. Please note: I always wore an SPF following the treatment, which is recommended.